An abandoned yacht, a young family missing - chilling crime from the queen of Nordic Noir. The most chilling novel yet from Yrsa Sigurdardottir, an international bestseller at the height of her powers. This is an amazing novel, told on two planes. The opening scene is of a fabulous yacht, several decks high, coming into Reykjavik harbour. On the wharf waiting for it are an old couple with a young granddaughter, a man with his leg in a cast, and the harbour master. Something is wrong. The yacht makes no attempt to slow down and it crashes into the wharf. No one appears on deck and it becomes apparent that there is nobody aboard. The incident makes the headlines of Reykjavik news. Thora Gundmundsottir comes into the story when the elderly parents of the young father who should have been on board employ her to deal with the paperwork of proving their son must be dead, and with claiming his life insurance. 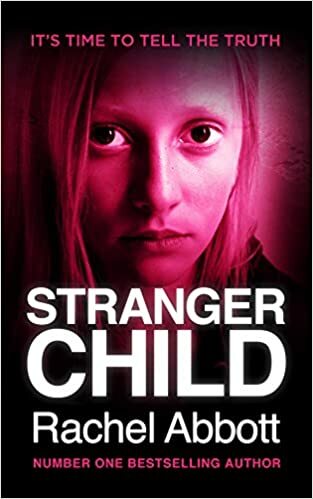 Thora gets in touch with the various authorities including the police, and so one plane of the story is narrated from the standpoint of after the event, trying to work out what happened. The second narration comes from those who are on board the yacht as the events unfold. What should have been an adventure for the young family, passengers on the yacht being sailed from Lisbon to Reykjavik, turns to horror as a body is discovered stored in a freezer and an elusive perfume convinces them that there is somebody else on board. There is plenty of mystery for the reader to work out, and in the long run, I'm sure you will agree with the judges of the 2015 Petrona Award, given annually in memory of Maxine Clarke, that this is one not to be missed. I certainly have a few titles to catch up with. Once again Rachel Abbott has produced another page turner. There is quite a lot of improbability in this plot, but that doesn't seem to matter: you read on because you just want to find out what happens. The book opens with a hook in the form of a Prologue - an accident occurs where Caroline Joseph is killed and her six year old daughter Tasha, a passenger in the car, disappears. The plot jumps six years and a body is found in the nearby woods. The police fear it may be Tasha, but the problem is that this girl is older, the age Tasha would be now, and she has only recently died. Again this is a case where DCI Tom Douglas really has a conflict of interest because he knows one of the victims, but on the other hand it can be argued that this is an advantage, because it gives him a degree of inside knowledge. The novel also explores Tom's professional relationship with his second in command, and with the woman who has become his lover. If you haven't caught up with this series, then it is time to make a start. 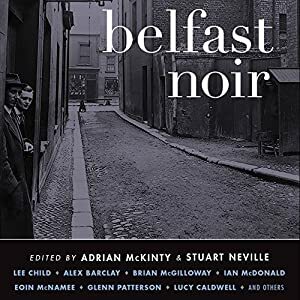 Reflecting a city still divided, Belfast Noir serves as a record of a city transitioning to normalcy, or perhaps as a warning that underneath the fragile peace darker forces still lurk. Featuring brand-new stories by: Glenn Patterson, Eoin McNamee, Garbhan Downey, Lee Child, Alex Barclay, Brian McGilloway, Ian McDonald, Arlene Hunt, Ruth Dudley Edwards, Claire McGowan, Steve Cavanagh, Lucy Caldwell, Sam Millar, and Gerard Brennan. From the introduction by Adrian McKinty & Stuart Neville: "Few European cities have had as disturbed and violent a history as Belfast over the last half-century. For much of that time the Troubles (1968–1998) dominated life in Ireland's second-biggest population centre, and during the darkest days of the conflict - in the 1970s and 1980s - riots, bombings, and indiscriminate shootings were tragically commonplace. The British army patrolled the streets in armoured vehicles and civilians were searched for guns and explosives before they were allowed entry into the shopping district of the city centre... Belfast is still a city divided... You can see Belfast's bloodstains up close and personal. This is the city that gave the world its worst ever maritime disaster, and turned it into a tourist attraction; similarly, we are perversely proud of our thousands of murders, our wounds constantly on display. You want noir? How about a painting the size of a house, a portrait of a man known to have murdered at least a dozen human beings in cold blood? Or a similar house-sized gable painting of a zombie marching across a post-apocalyptic wasteland with an AK-47 over the legend UVF: Prepared for Peace - Ready for War. As Lee Child has said, Belfast is still 'the most noir place on earth.'" Not a set of stories for the faint-hearted, most of these are truly noir. As with most short story collections, there are some that are very good, clever, or amusing, but there are others that tempt you to skip to the next. They do make the reader appreciate that Irish noir fiction is alive, well, and strong. Surprisingly, apart from the introduction, there is not a contribution from either of the editors. Read a feature on Stuart Neville, Adrian McKinty, and Lee Child at the Wall Street Journal. Listen to an interview with editors Stuart Neville and Adrian McKinty at RTÉ Arts Radio. This edition published by Center Point Large Print in 2013. 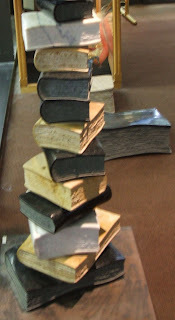 The collection was first published in 1950. Three Blind Mice is a novella and is the only one in the list that I haven't been able to read in another collection. Reading it will complete my challenge to read all the Agatha Christie novels and short stories. The guests and residents of the newly opened guest house, Monkswell Manor, find themselves trapped by a blinding snowstorm and threatened by a psychotic killer. With a finite cast of characters in this "locked room" mystery it is not long before suspicions are voiced, and under growing pressure newlyweds Molly and Giles Davis start to suspect each other of murder. This story is the basis for the West End play The Mouse Trap which had its first performance in 1952. 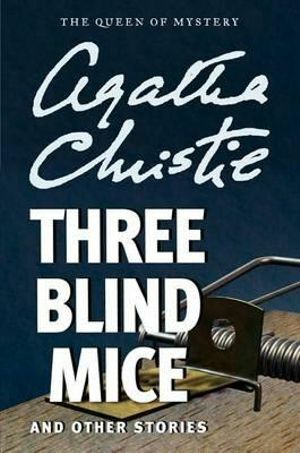 The play began life as a short radio play broadcast on 30 May 1947 called Three Blind Mice in honour of Queen Mary, the consort of King George V. The play had its origins in the real-life case of the death of a boy, Dennis O'Neill, who died while in the foster care of a Shropshire farmer and his wife in 1945. When she wrote the play, Christie gave the rights to her grandson Matthew Prichard as a birthday present. In the United Kingdom, only one production of the play in addition to the West End production can be performed annually, and under the contract terms of the play, no film adaptation can be produced until the West End production has been closed for at least six months. The story Three Blind Mice was written in 1947, and published in the US in 1950. The story is really a novella and the action slips past very quickly. Once the guest house becomes cut off by a snow storm, the tension builds and a murder takes place. There is a dramatic quality to the events, or is it just that I know that it is the basis of The Mouse Trap? One can imagine these events being played out on a stage. Following the tradition with The Mouse Trap there will be no revealing of how the plot works out here. For the record, I did work out who the murderer was. I read this for my participation in the Agatha Christie Reading Challenge, and at last, after over 6 years, I've finished! I have read 66 novels and 154 short stories (including this novella) in 23 collections. 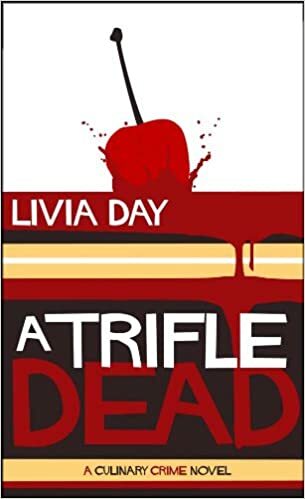 A TRIFLE DEAD is a culinary crime novel – delicious food, good coffee, cute frocks and okay, the occasional gruesome murder. For me, one of the attractions of this novel was a new-to-me female Aussie author, followed closely by the setting in Hobart, Tasmania. The overall feeling with this novel is chicklit/mystery which is probably not totally my cup of tea. However there is a murder to be solved, and some interesting characters to get to know. There are plenty of Amazon reviewers, mostly younger than me I suspect, who have loved it. There is a strong sense of setting and the portrayal of Hobart as a place for the young. There are recipes at the end of the book for those who would like to try some of Tabitha Darling's food for themselves. - See more here, and read the first chapter online. This is a collection of short stories, most of which were also published in other collections, and some of which I had already read. So that left me 7 stories to read. They all feature Hercule Poirot and are about 13 pages each in length. Surprisingly they are all from relatively early in Christie's career. Patricia Garnett returns with her friends at night to find that she has lost her key to her flat. Her male friends decide to get into her flat, which is on the third floor, by accessing the service lift from the basement. They break into the wrong flat and discover a dead woman. 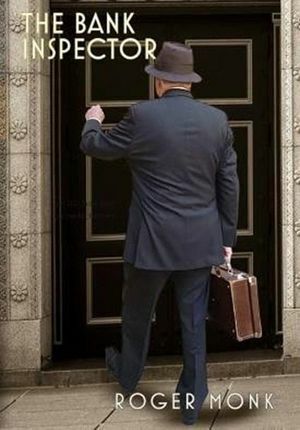 Hercule Poirot is staying in the building and comes to the rescue. Hercule Poirot solves the problem of the abduction of a three year old. Drinking a cup of chocolate by a warm fire reminds Hercule Poirot of a case that he regards as his greatest failure. It is set in Belgium when he is still in the Belgian police force and involves a sudden death. Hastings is marvelling at his dwindling bank balance and suggests that Poirot buy some shares. Poirot tells him the story of how he was given 14,000 shares in Burma Mines for his role in solving a murder mystery. This story is narrated by Hastings who has noticed that Poirot is becoming increasingly restless. The newspapers are full of reports of a daring jewellery robbery in Bond Street. They are discussing this when a young lady arrives at Porot's flat. She is heavily veiled. She tells Poirot she is being blackmailed by someone and Poirot agrees to meet the blackmailer. But Poirot is cleverer than his visitor imagines. Poirot is on a cruise to Alexandria. He has been keeping to his cabin with seasickness but now emerges to observe his fellow passengers. His attention is caught by Colonel and Mrs Clapperton. The latter seems to be a very unpleasant person who treats her husband with contempt. The day they arrive in Alexandria Mrs Clapperton takes to her bed and Colonel Clapperton goes on shore with a couple of young women. When he returns Mrs Clapperton is dead, murdered. 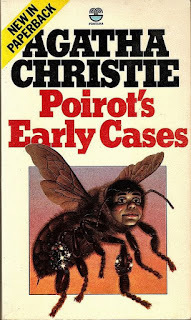 Poirot receives a letter from an elderly woman who wishes to consult him, but before he can visit her, she dies of strychnine poisoning, and her Russian companion, the major beneficiary of her will, has been accused of murder. This story show Poirot using Miss Lemon in an investigative capacity, slthough he mourns the fact that she does not have Captain Hastings' imagination. I read these as part of the Agatha Christie Reading Challenge. Check my short story list. These stories are pretty quick reads, but each shows Christie's acute observation of character, and her great interest in what causes people to commit crimes. A collection of eight short stories, first published 1961. First published as By Road or Rail September 1928, A Hercule Poirot story. First published November 1928, A Hercule Poirot story. First published as The Adventure of the Christmas Pudding December 1923. First published 1956, A Miss Marple story. In the long run I had actually already read five of these short stories in other collections, and I also realised that I had actually seen television versions of the other three. 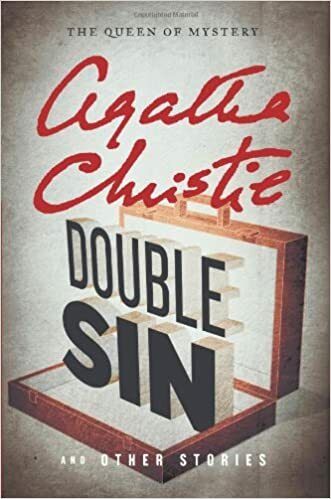 Double Sin is the story of a young woman and her aunt who sell antiques and who run an insurance scam, looking for gullible travellers who will back up their claim that their wares have been stolen. In this case though they pick on Poirot and Hastings. Wasps' Nest. Hercule Poirot becomes convinced that someone of his acquaintance is about to commit murder and he sets out to prevent it. The Double Clue is the first of the stories that features the Countess Vera Rossakoff, a Russian lady who becomes involved in the theft some rubies and an emerald necklace. She makes the mistake of leaving two clues. The morning it all started, newspaper reporter David Harwood had plenty to worry about. A single parent with no job, forced to return with his young son to the small town of Promise Falls to live with his parents, the future wasn't looking too rosy. So when his mother asked him to look in on his cousin Marla, who was still not quite right after losing her baby, it was almost a relief to put the disaster his own life had become to one side. The relief wouldn't last long. When he gets to Marla's house he's disturbed to find a smear of blood on the front door. He's even more disturbed to find Marla nursing a baby, a baby she claims was delivered to her 'by an angel.' And when, soon after, a woman's body is discovered across town, stabbed to death, with her own baby missing, it looks as if Marla has done something truly terrible. 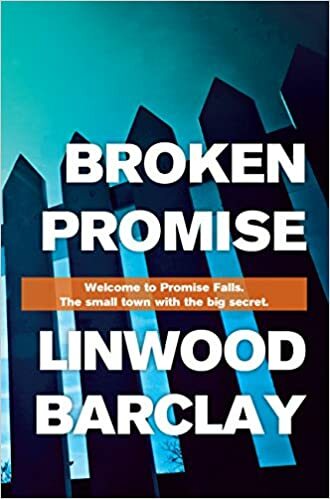 This is a nice solid contribution to Linwood Barclay's list of publications but I was surprised to find that I had solved part of the mystery about half way through the novel, and was just left to work out the finer details. So, from that point of view, this is not one of Barclay's best. It does explore the motives people have for their actions, and there is a cast of interesting characters. The setting is modern, identifiable by the economic effects of the downturn of the newspaper industry, which is what has forced David Harwood to live with his parents. He has returned to the small rural town where he first began his career, a town where everyone knows everyone else, but seemingly do not always know the reasons why they do things. As you no doubt know, in my ‘day job,’ I’m an academic. And one thing we academics do is conduct research. Today I’d like to shamelessly beg for your participation in tell you about a research project I’m currently doing. My study addresses the question of what adults learn and remember from reading crime novels. And I can think of no more expert group of people than you folks to help me answer that question. · Go to the study link to get started. · After indicating your informed consent to participate, respond to a survey. The survey contains 23 questions, all but one of which are multiple choice. · When you’re done, just submit your answers. That’s all. · You are of course perfectly free not to participate if you’d rather not. · If you do participate, your responses will be anonymous. That is, I will not be able to link you to your survey responses. Neither will anyone else. · You will not be asked for any private identifying information, such as your name, email address or telephone number. · The survey should take no more than 20 minutes maximum. Once I’ve got my data collected, I’ll gather the information and start getting some results. I’ll share the overall results with you on this blog. I’ll also share the results at a conference I plan to attend later this year. If you’d like to participate, thank you!!! Please click here to get started. If you would rather not participate, that’s perfectly fine. I would appreciate your helping me spread the word though. The more participants who are involved, the more I’ll learn, and the more I can share with you. Australian writer Felicity Young has certainly grown as a crime fiction author and this latest offering in the Dody McCleland series brims with confidence and authenticity. I have somehow missed reading #3 and feel that is an omission I must rectify. Dody McCleland works as an assistant to Dr Bernard Spilsbury and is right at the centre of the suffragist world. If she is not present, then her lover Inspector Pike is, and between them they are a formidable pair. Besides being a murder mystery, the novel does a good job of presenting the injustices of a world where women lack equality and where males can deal with unwanted females in the most radical manner. If you like authentic history in your crime fiction then give this series a go. Felicity Young was born in Germany, educated in the UK and settled in WA. She lives on a small farm with her family, has trained as a nurse, studied music, reared orphan kangaroos and is a volunteer firefighter. The world of the Dr Dody McCleland mysteries is based on her grandmother's old memoirs. Also stand-alone title: A Certain Malice (2005) being reprinted as FLASHPOINT later in 2015 with a sequel promised in 2016. The next Dody McCleland book, A Donation of Murder, is set for release on May 1st 2016. I discovered today that so far I have read exactly the same number of books as this time last year. According to Good Reads I am running 4 books ahead of schedule for a total of 140 for the year. Last year I read 137. But that may all get knocked into a cocked hat if those Agatha Christie short stories I wrote about yesterday turn up from the library. I note also that some books have been on my "immediate reading" list for a while now. Thank you to blogging friend Bernadette for the recommendation to read this book. Her review at Fair Dinkum Crime is here. This novel has so far not received the publicity it deserves. The plot is remarkably simple but at the same time intricately woven with a delicate twist. 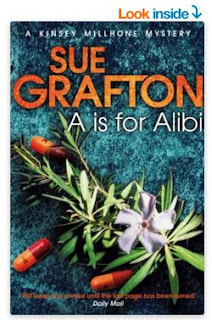 The setting is local - South Australia, Adelaide, Grote Street, Norwood, the Barossa Valley - some recognisable local scenery, set in 1950, some strongly drawn characters, and some intriguing mystery. I thoroughly enjoyed it. For overseas readers I wish I could recommend an e-book but there doesn't appear to be one yet. I live in hope. I also have hopes that it will make the Ned Kelly shortlist. Roger Monk was born in Adelaide and grew up on the Yorke Peninsula and Lower North of South Australia. He spent over twenty-five years in banking, latterly as bank secretary, and five years in management development in the Australian automotive manufacturing industry before joining the University of South Australia. For many years, he has specialised in managerial and organisational behaviour and the psychological implications of business practices, and as a supervisor of Honours, Masters and Ph.D. students. He also works with tertiary students with Aspergers syndrome problems and on the preparation of textual case studies. Roger holds a BA, a Master’s degree in Organisational Behaviour, an MBA, a Ph.D. in Human and Organisational Psychology and is a Fellow of the Financial Services Institute of Australasia. He has done substantial overseas research, lectured extensively in Hong Kong, and Singapore and has worked at the University of California, Berkeley, and at Cornell University. Roger lives in the foothills above Adelaide with his wife, Valerie, a registered nurse, and enjoys writing, reading historical biographies and murder mysteries, gardening and fishing. He has grown and made his own dry Eden Valley Riesling at their property in the Barossa hills. Roger’s novel “The Bank Inspector” is a crime/thriller story that will appeal to lovers of the genre and certainly all bankers all over the world. I've managed to identify the Agatha Christie short stories to be read to complete my challenge. But in fact things are not as bad as that and I think I have only 10 stories unread. According to my records, although I have completed reading the Agatha Christie novels, I still have a number of short stories to go. However many of the short stories published in these collections were also published in other collections and I have actually read them. So I have begun tracking the collections above through my local library network and finding the elusive few that I haven't yet read. The problem is compounded by the fact that some were also published under other titles according to whether they were published in the US or UK, or whether they were modified and then re-published. So, a bit of tedious housekeeping ahead. Currently I have 143 short stories on my list, but I am not sure how many there are in total. Has anybody come across a number? An article on Wikipedia suggests 153, but I don't think that includes any recently "found". If you read Agatha Christie, then you can enter your review in the monthly Agatha Christie Reading Challenge here. Here are the entries for June 2015. I read 17 new-to-me authors in the first quarter of the year, and added another 14 in the last three months. As you can see quite a number have impressed me. Check out some of the titles others have listed for this meme.